The Astell&Kern AK Cradle is not merely a cradle - it's an extension of the AK380. It also fits the new AK320 Amp. Balanced XLR Output is now possible via the AK380 Cradle. 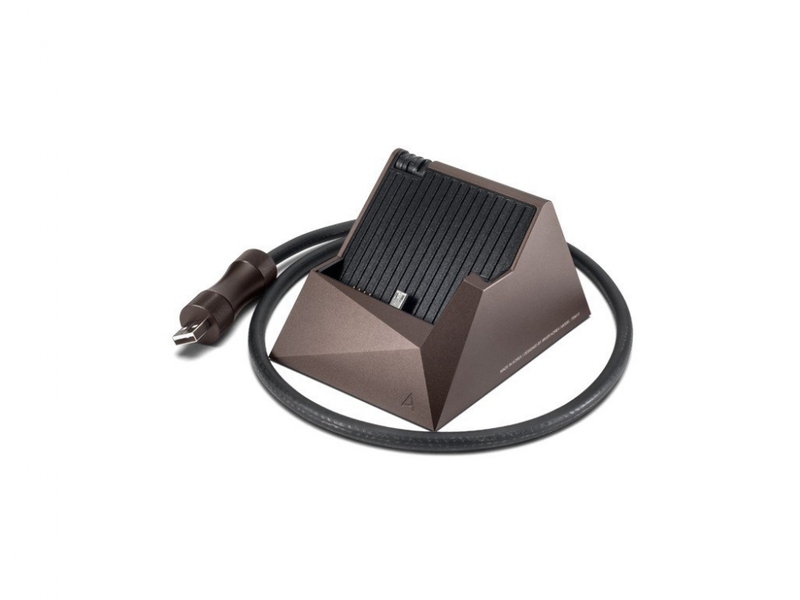 Easily output sound through your home audio system by connecting the AK380 to your favorite amplifier. * Mount the AK380 and raise the clamp at the rear of the AK380 Cradle for sound output through the cradle. * The AK CD-Ripper may not be properly recognized if you use a power supply adapter rated at less than 5V 2A. 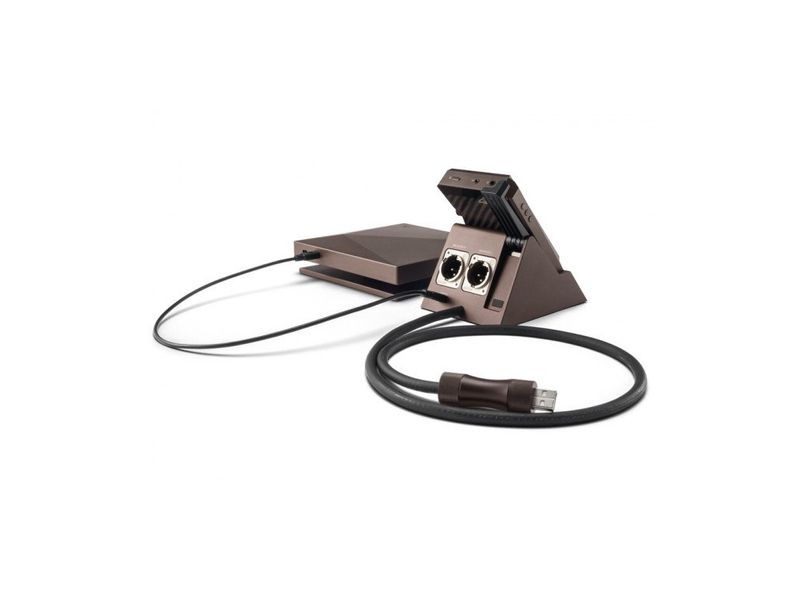 Connect the AK CD-Ripper to the AK380 Cradle's [AK CD-Ripper Connection Port] for easy access and smooth operability. The AK CD-Ripper does not require a separate power supply when power is being supplied to the AK380 Cradle. * An adapter rated 5V 2A or greater must be connected to the cradle's Micro-USB cable to use the AK CD-Ripper in conjunction with the AK380 Cradle. A USB cable created specifically for optimum cradle functionality was developed for the AK380 Cradle. The polyethylene insulation material with dual-layer outer coating delivers superior electrical insulation properties that effectively suppress outside noise interference. The cable is produced with a high-density braiding method to ensure excellent signal delivery and the cable's high performance properties deliver reliable power for CD ripping with the AK CD-Ripper as well as USB DAC XLR output. 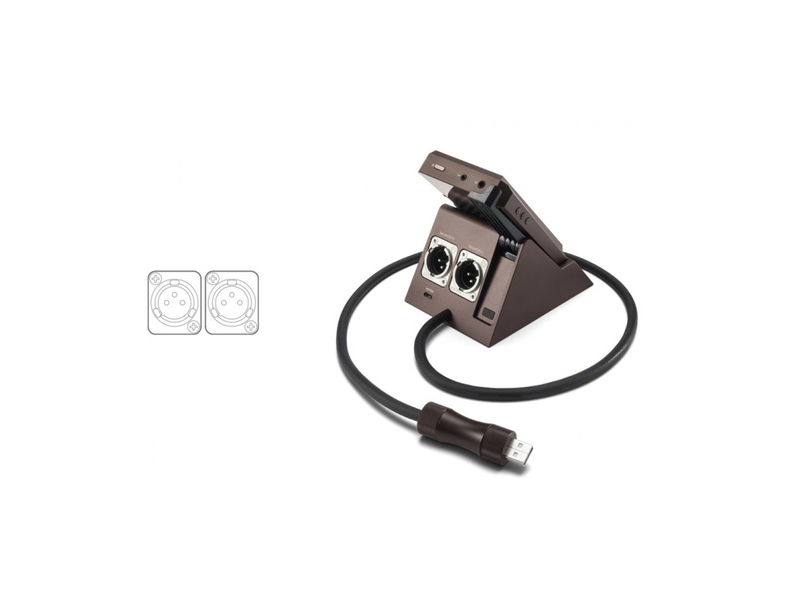 * Balanced XLR output is disabled when using the USB DAC functionality via the AK380 Cradle. The AK380 Cradle retains the 'light and shadow' design motif of the AK380, which aesthetically exposes the subtle patterns of light that play across its surfaces. The connected cradle provides a stable foundation for the AK380, and the overall design delivers a carefully crafted and unified look. 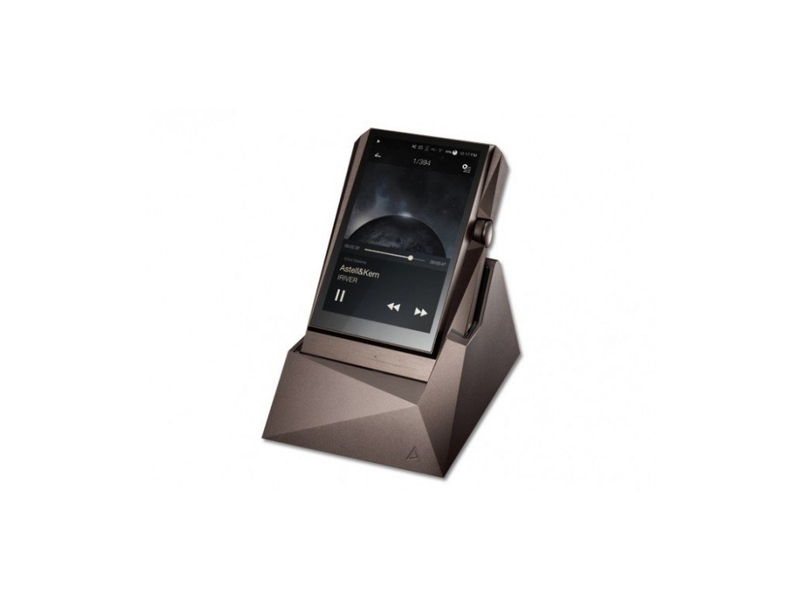 0 Đánh giá cho "Astell & Kern AK380 Docking Stand PEM13"